Whether you just adopted a pet or have shared your home with pets for years, there's one thing that you know for sure: pets can be hard on floors. What are the best floor choices for pet owners? Indianapolis flooring store Kermans has the advice and selection to answer that question. Can I have carpet with pets in the house? Yes! Stain and moisture protection techniques make any type of floor practical, even carpets. As you are shopping for carpet look for options that include waterproof protection so that pet accidents don't absorb into the padding. 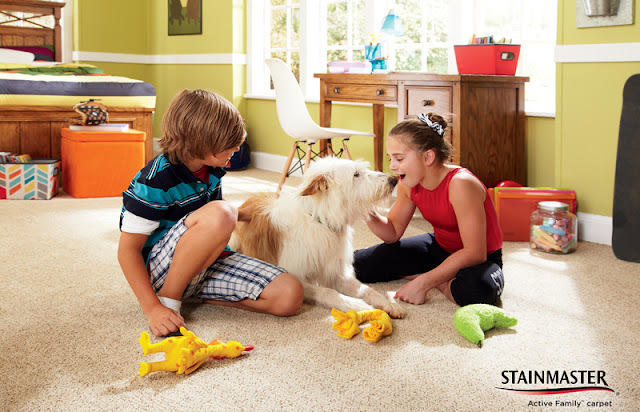 Some carpets even offer moisture absorption protection on the carpet fibers to reduce lingering pet odors. You'll also want to make sure you have the best stain protection available. Be sure to talk to your carpet expert about the best type of carpet for your pet. Pet hair and dander from long-haired pets can be tricky to clean out of some types of carpet. What type of floor is best for pets? 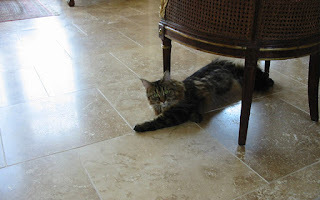 Many pet owners choose a hard surface flooring for their pets. Floors such as tile, hardwood or luxury vinyl won't absorb any pet accidents, making clean up a breeze. It also means you won't have those lingering pet odors that can soak into rugs or carpets. Pet hair, dander and dirt are also much easier to clean up from a hard surface floor. Remember that pet claws can scratch softer hardwoods so opt for a harder finish or look at tile and luxury vinyl plank options instead. You can even have a floor that looks like wood with the more durable qualities of vinyl with new resilient wood flooring.